Jump London is London's newest and best indoor trampoline park with 12 epic adventure zones. Located in East London the venue is suitable for all ages with toddler, children and adult sessions. Jump London is based in the same venue as Capital Karts which is home to the UK's longest indoor karting track. Go trampolining, karting or both. Bella italia Beckton – London (2.0 miles) – POP IN & SAY CIAO! RSPB Rainham Marshes nature reserve – Purfleet (5.6 miles) – Get outdoors and enjoy a lovely walk, fresh air and stunning views! forbiddenplanet.com – London (10.6 miles) – The largest cult entertainment Megastore in the UK, the home and hub of the best geek shopping. You are submitting a booking enquiry. 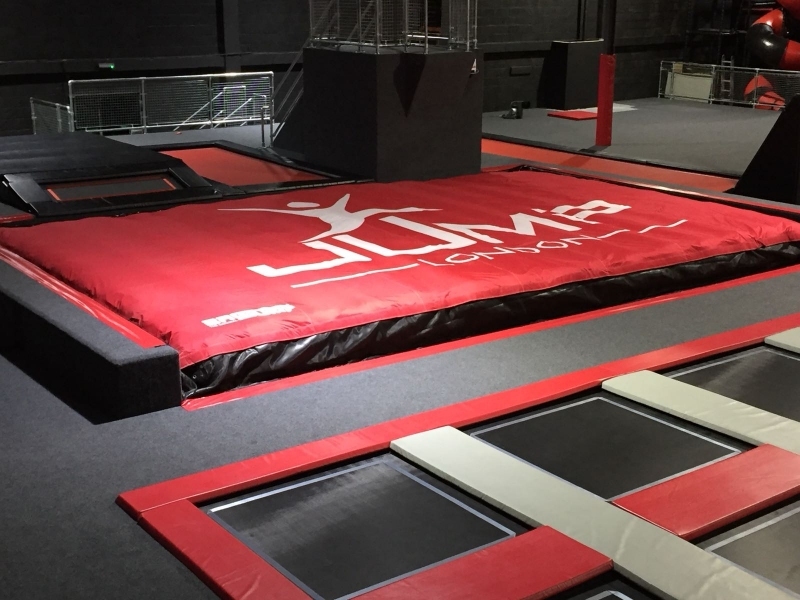 Jump London Trampoline Park will then contact you by email with details of availability and prices.